Glenlivet is a two-century old well known whisky brand. In this blog you can see an example of promotional campaign which the whisky brand show cased recently. 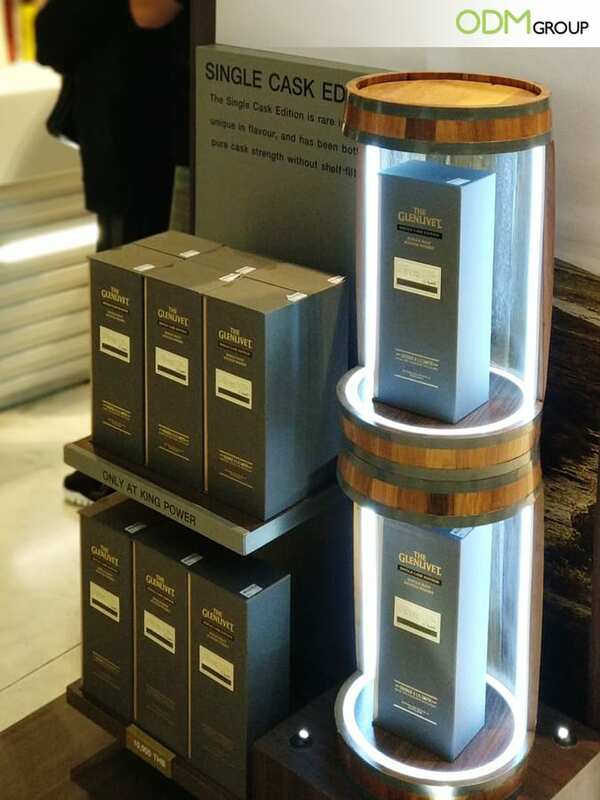 They used a bespoke bottle glorifier in LED and wood materials to promote their Single Cask Edition whiskey in duty free shops in the UK. The bottle glorifier is a great example of drinks marketing products. It gives a premium feel to the brand and also servers as an eye-catching POS display, which attracts attention and brings customers. Therefore, this product can help to promote your brand in two ways: buy adding value to the product and by increasing the sale. Thus, it is leaving a long lasting impression in the mind’s of the customer and garnering customer satisfaction for the brand. Why this bespoke bottle glorifier? 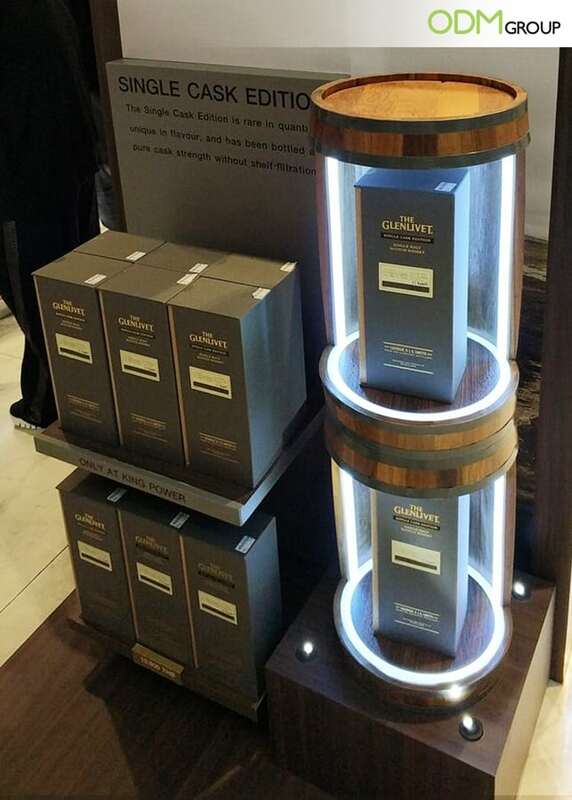 The shape of a barrel with wooden base and top gives the packaging a classic mature look, while the glass cover with the LED light makes the product a very modern and stylish. We think wood and LED is a great combination of materials. It also works well from production perspective – wood doesn’t require expensive tooling costs. In addition to this, the packaging and design stay true to the tag line of ”single cask edition”. The customized packaging with unique POS glorifier adds value to the product and attracts customers. The bottle glorifiers have unlimited opportunities for creativity in design and elements. Our design team Mindsparkz has a great experience in creating bespoke glorifiers from scratch, starting from colourful sketch to technical drawing and 3D modelling. Here in ODM, we offer a full range of design services. Contact us for more information.